Pope Francis ’s reference to the Almond tree on the Feast of the Sacred Heart has prompted a fascinating new exploration of the meaning of the Sacred Heart and of the icon itself. It has been said that if one writes a word on an almond, and then replace it carefully in its husk, and sow it, all the fruit borne by that tree will be marked by the word so inscribed. For my own part, I never could approve of beginning to reform any one by merely external things,—dress, the arrangement of hair, and outward show. On the contrary, it seems to me that one should begin from within. “Turn ye to Me with all your heart;” “My son, give Me thine heart; ” for as the heart is the fount whence all our actions spring, they will be according to what it is. And the Heavenly Bridegroom, calling the soul, says, “Set Me as a seal upon thine heart, as a seal upon thine arm.” Yes verily, for whosoever has Jesus Christ in his heart will soon show it in all his external actions. Therefore, my daughter, above all things I would write that precious and Holy Name JESUS in your heart, certain that having done so, your life—like the almond tree in the fable—will bear the stamp of that Saving Name in every act; and if the Dear Lord dwells within your heart, He will live in your every action, and will be traced in every member and part of you, so that you will be able to say with S. Paul, “I live, yet not I, but Christ liveth in me.” In a word, whosoever gains the heart has won the whole man. The almond has an remarkable history as a religious symbol. 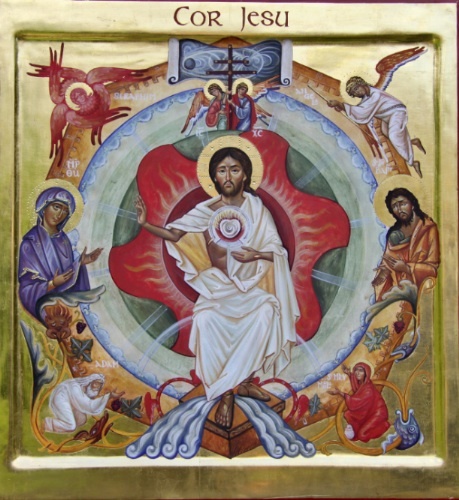 Pope Francis in his reflections on the feast of the Sacred Heart is inviting us to consider the richness of this symbol in the context of understanding the mystery of God’s love for us. 31 Make a lamp stand of pure gold. Hammer out its base and shaft, and make its flowerlike cups, buds and blossoms of one piece with them. 32Six branches are to extend from the sides of the lamp stand—three on one side and three on the other. 33Three cups shaped like almond flowers with buds and blossoms are to be on one branch, three on the next branch, and the same for all six branches extending from the lamp stand. 34 And on the lamp stand are to be four cups shaped like almond flowers with buds and blossoms. 35 One bud shall be under the first pair of branches extending from the lamp stand, a second bud under the second pair, and a third bud under the third pair—six branches in all. 36The buds and branches shall be all of one piece with the lamp stand, hammered out of pure gold. 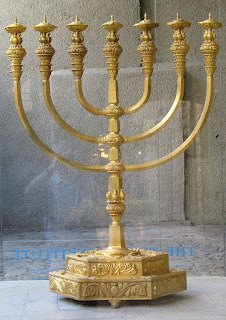 The Menorah is one of the oldest, and most revered symbols of Judaism. So, as we contemplate the image of the Sacred Heart, we might reflect on the meaning that it is the temple and tabernacle of God. Jesus, like the menorah is the light of the world, and the tree of life. Just as the menorah was the only source of light in the Tabernacle, The flowering of Aaron’s rod with almond flowers (Numbers, 17), prefigures the resurrection from the dead of Jesus and the new life he brings. 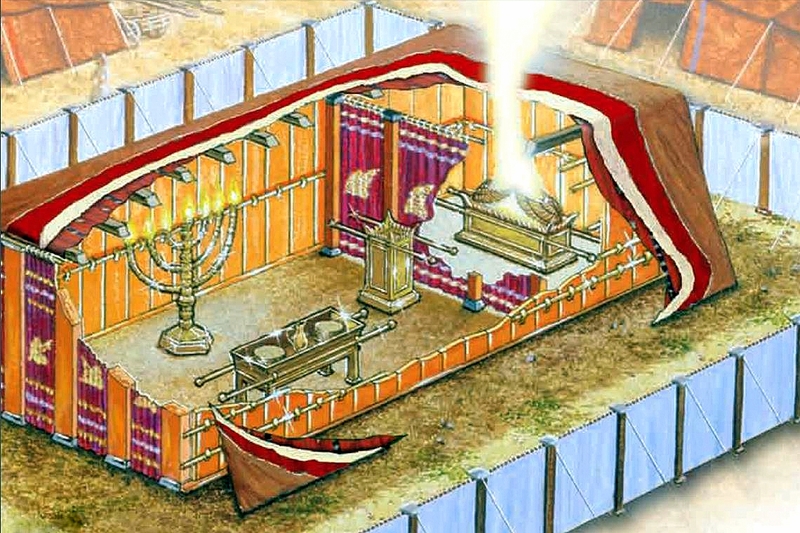 Aaron’s staff, of course was placed in front of the Ark of Testimony, and later on placed inside the Ark housed in the Tabernacle. 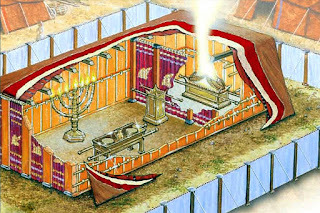 If you visit your local synagogue, then you will find a menorah next to the Ark, when the Torah is stored and displayed. As I understand it, it is there to signify the great power and wisdom of God's holy word. 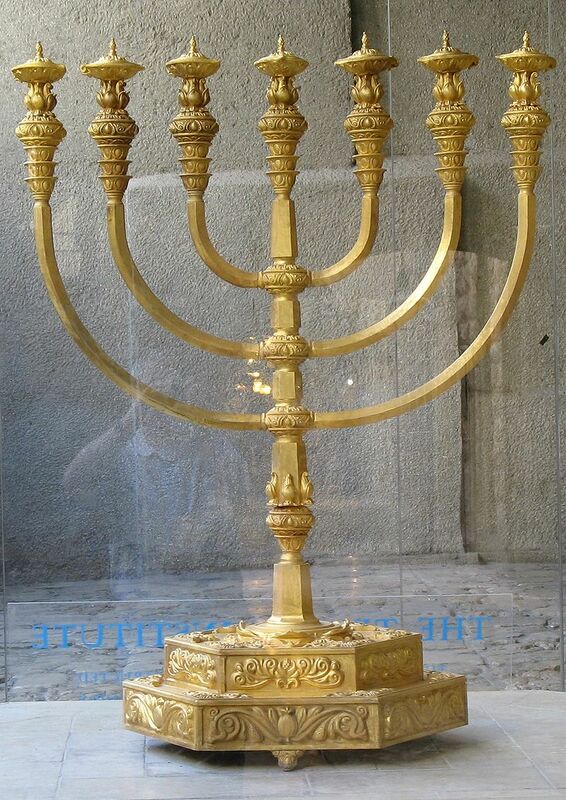 And, of course, it is there because it is such an important symbol of the the Jewish faith, tradition and history. Why was the little old almond singled out for such a very special place on such a special symbol? Pope Francis refers to the tradition that the almond tree was the first to bloom after the winter. God is always first, just waiting and watching for us. And this sense of it being a symbol of watching for us and over us, and of God who loves us and is ever waiting and watching for us enriches our understanding of the Heart of Jesus. In Hebrew the name for almond tree is shâqêd. Shâqad also means to be watchful and on the lookout . So the almond tree reminds us that God is ever watchful, and so much we be always mindful of the covenant - old and new. In Jeremiah (Jeremiah 1: 11 – 12) the Lord asks Jeremiah, what does he see? 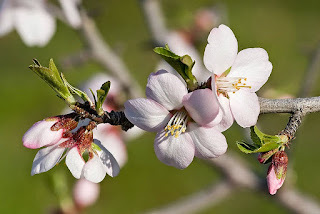 And Jeremiah’s response is, “I see the branch of an almond tree.” God replies well, “You have seen correctly, for I am watching to see that my word is fulfilled.” In Job we read that God is a “watcher of men.” ( Job 7:20). The moment we focus on the menorah - decorated with that almond motif - and think about the heart of Jesus as the Temple of God and the Tabernacle of the most high, then the profound mystery of the Sacred Heart comes into a clear perspective. As we contemplate an image of the Sacred Heart we should always remember the words of St John’s Gospel (John, 19-31-5) . 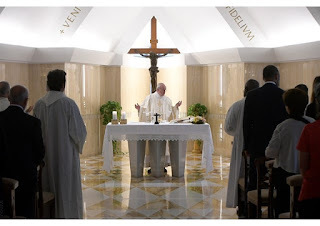 He sees a direct and vivid parallel between the pierced heart of Jesus and the blood and water that flowed from the altar in the Temple in Jerusalem at the time of Passover. At the time of Jesus the flow of the blood of many thousands of lambs washed down from the Temple Mount to the brook in the Kidron valley would have been a familiar sight. John asks us to look Jesus as the Temple of the living God. His heart is the altar from which flowed blood and water. 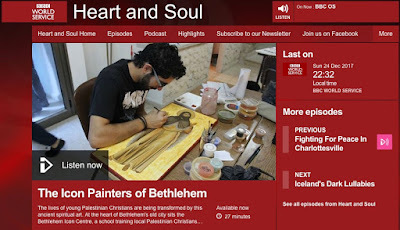 When we look at the heart of the saviour we should see the Temple Mount, and the blood and water flowing down into the Kidron Valley, and on the other side of which is the Mount of Olives where he taught and from where he ascended to heaven, and Garden of Gethsemane where he spent the night with his apostles. You can hear Dr Pitre explain all this here. Perhaps, I'm thinking, next to an icon of the Sacred Heart we should also place a menorah to light and remind us of the heart of Jesus as the Holy Temple of God, and the Tabernacle of the Most High? And in so doing enter more fully into the mystery of the pierced heart of Jesus and the Eucharist. I have to look out for one with plenty of almonds! Francis continued, it is not easy to understand God's love as is narrated in the passage from today liturgical reading in which the Apostle Paul speaks of“ preaching to the Gentiles the inscrutable riches of Christ.” “It is a love that cannot be understood. A love that surpasses all knowledge. It surpasses everything. The love of God is so great; a poet described it as a “bottomless sea without shores…” This is the love that we must try to understand, the love that we receive” he said. The Pope said that throughout the history of salvation the Lord has revealed his love to us: “He has been a great teacher.” Recalling the words of the prophet Hosea, he explained that God did not reveal his love through power but “by loving His people, teaching them to walk, taking them in His arms, caring for them”. “How does God manifest his love? With great works? No: He makes himself smaller and smaller with gestures of tenderness and goodness. He approaches His children and with his closeness He makes us understand the greatness of love” he said. Finally, Pope Francis said, God sent us His Son. “He sent Him in the flesh” and the Son “humbled himself until death”. This, he said, is the mystery of God's love: the greatest greatness expressed in the smallest smallness. This, he said, allows us to understand Christianity. The image that has captured my imagination is the blooming almond tree. It is not an image we tend associate with the Sacred Heart, and yet as we reflect on it, that symbol of the almond is very powerful and suggestive. Francis has given us much to think about by referencing the almond tree! I shall spend the next few days thinking about it! 'French Jesuit Pierre Teilhard de Chardin was arguably one of the great minds, great spirits of the 20th century, a Jesuit Roman Catholic priest. A scientist, a scholar, a mystic. In some of his writings he said from his scientific background as well as his theological one, in some of his writings he said, as others have, that the discovery or invention or harnessing of fire was one of the great scientific and technological discoveries in all of human history. Fire to a great extent made all of human civilization possible. Fire made it possible to cook food and to provide sanitary ways of eating, which reduced the spread of disease in its time. Fire made it possible to heat warm environments and thereby made human migration around the world a possibility, even into colder climates. Fire made it possible, there was no Bronze Age without fire, no Iron Age without fire, no Industrial Revolution without fire. The advance of science and technology are greatly dependent on the ability to take fire and use it for human good. Anybody get here in a car today? An automobile? Nod your head if you did -- I know there were some carriages. But those of us who came in cars, fire, the controlled, harnessed fire made that possible. I know that the Bible says, and I believe it, that Jesus walked on water. But I have to tell you that I didn't walk across the Atlantic Ocean to get here. Controlled fire in that plane got me here. Fire makes it possible for us to text and tweet and email and Instagram and Facebook and socially be dysfunctional with each other. Fire makes all of that possible. As the year comes to an end I have reflected on what image of the Sacred Heart has had the most impact on me over the past year. And without doubt it was an image or rather a space I found whilst in Guernsey in the summer: Le Galloudec Shrine. By chance we came across a chapel which had been constructed in what had been a German second world war defence building by a man who was determined to transform it from a symbol of hate into a symbol of love. 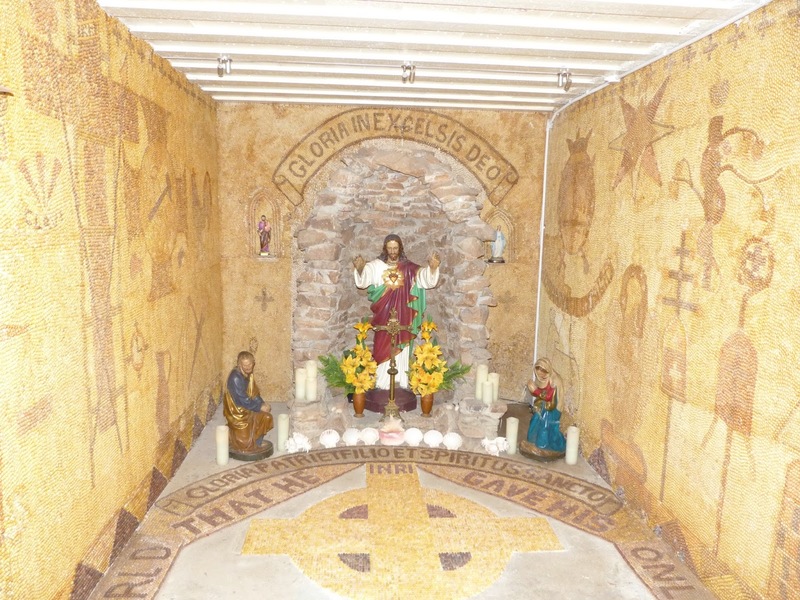 The Le Galloudec Shrine is located at Fort Hommet at Vazon in what had been a military bunker during the German Occupation of the Island in the Second World War. A local man, Hubert Le Galloudec, began his remarkable work in work in the 1950s creating a chapel devoted to the Sacred Heart out of local sea shells. 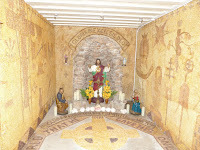 Sadly it was badly vandalised and was closed in 1971, but Friends of the Le Galloudec Shrine restored it and opened it to the public in the summer of 2008. Read a BBC report about it HERE. Of course, the trouble with the reports that are around is that they really don't get it at all! They describe it as essentially a shrine decorated by Biblical themes, images and symbols. Well it is. But when you study it in more detail it is apparent that either by accident or design - and I think the latter- old Hubert was making a far more profound statement about the Sacred Heart. The Shrine is placing the devotion into its Biblical and theological context. To me it is a simple but eloquent statement of the theology which was expressed by Pope Pius XI in Miserentissimum Redemptor in 1928 when he famously said that the Sacred Heart was: " ... a summary of all our religion and, moreover, a guide to a more perfect life contained in this one devotion?". Furthermore, Le Galloudec seems to addressing the very themes we find in Pope Pius XII's encyclical Haurietas Aquas published in 1956! It is not a great work of art, but it is a great example of someone who had the vision and courage to proclaim the relevance of the Sacred Heart to building a civilization of love from the ruins of one which was built on hate and evil. It is an inspiration for us today as we look out on our world torn apart by the very same forces that built those ugly bunkers. Hubert Le Galloudec built a shrine. What can we build? It was wonderful to hear about the progress of the Icon school in Bethlehem through a Christmas broadcast on the BBC. Hear it here. If you want to understand what an icon is all about, you could do no better than listen to the interviews with Ian and his students. As we have noted on this blog, Pope Francis has made important contributions to our understanding the importance of the Sacred Heart for our world today. 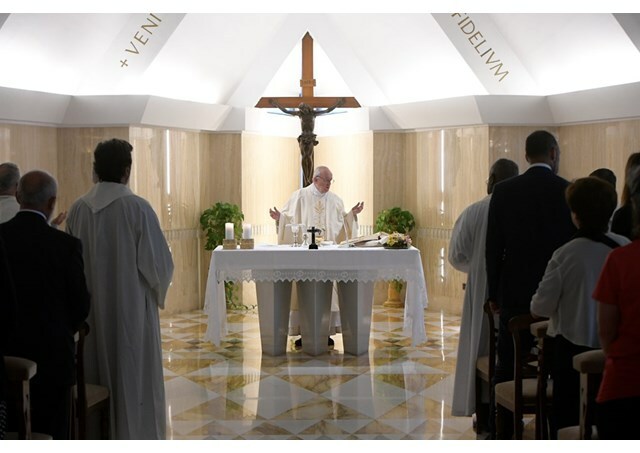 In his homily at the mass for the Feast of the Sacred Heart (23rd June) at the Casa Santa Marta, he reminded us of how humility is so vital for humanity. We have to make ourselves small, he urged, if we are to hear the voice of the Lord. 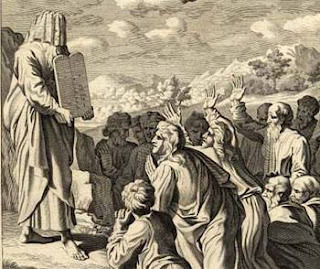 Even today, whenever Moses is read, the veil is over their minds. It will not be removed until they turn to the Lord. Now this Lord is the Spirit, and where the Spirit of the Lord is, there is freedom. And we, with our unveiled faces reflecting like mirrors the brightness of the Lord, all grow brighter and brighter as we are turned into the image that we reflect; this is the work of the Lord who is Spirit. Since we have by an act of mercy been entrusted with this work of administration, there is no weakening on our part. If our gospel does not penetrate the veil, then the veil is on those who are not on the way to salvation; the unbelievers whose minds the god of this world has blinded, to stop them seeing the light shed by the Good News of the glory of Christ, who is the image of God. For it is not ourselves that we are preaching, but Christ Jesus as the Lord, and ourselves as your servants for Jesus’ sake. It is the same God that said, ‘Let there be light shining out of darkness’, who has shone in our minds to radiate the light of the knowledge of God’s glory, the glory on the face of Christ. By referring to Moses and the way in which he would veil his face when he spoke to the people, Paul is telling us that it is only when we believe in Jesus that we can see the image of God. The old covenant was written on stone, the new covenant in Jesus is written in our hearts by the Spirit of God. But, the 'god' of this world can blind us to seeing the truth. Instead of our hearts being open to the Spirit that came on Pentecost to the apostles, they remain hard and closed. The gods of this world have indeed blinded so many. Just pick up a newspaper or watch TV and there you can see the consequences of this blinding process. The world grows darker and darker the more it rejects and persecutes those who seek to witness to the Good News. And we see in the faces of those who hate and despise Jesus all the deadly sins that are consuming the world. We can only pray and hope that the gospel will penetrate the veils of those who 'are not on the way to salvation'. The unveiled image of God in the face of Christ is therefore our hope. Whilst the gods of this world blind, the image of the unseen God, from whose wounded heart the Holy Spirit poured into this world, gives us light to illuminate the darkness. 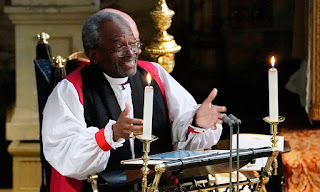 And, of course, just as Moses's face reflected the light of God, we in our turn are called in all humility to reflect the light and love of Christ - the Alpha and Omega.